This article discusses how to check your PAN application status once you have applied for a PAN. 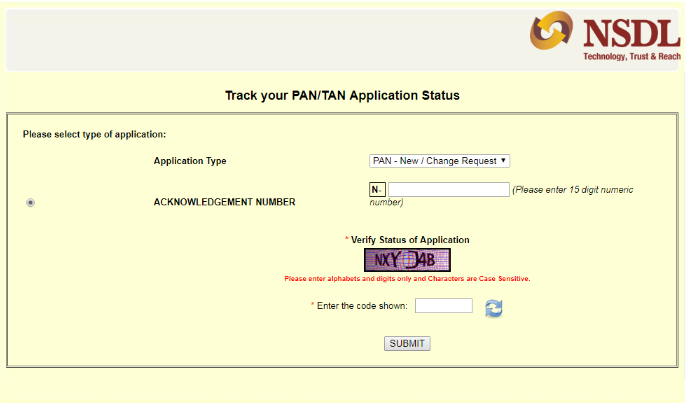 is our article on how to apply for a PAN card. 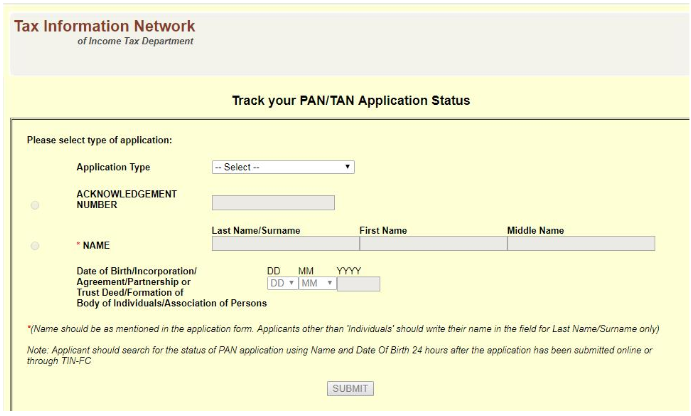 Call: Applicants can track their PAN application status by calling TIN call centre on 020-27218080 and providing 15 digit acknowledgement number of PAN application. SMS service: Applicants can track the status of their PAN application by sending 15 digit acknowledgement number of PAN application to ‘57575’ and receive back an SMS with the current status. Step 3. Enter date of birth/ Incorporation/ Agreement/ Partnership or Trust Deed/ Formation of Body of Individuals/ Association of Persons and click on ‘Submit’.